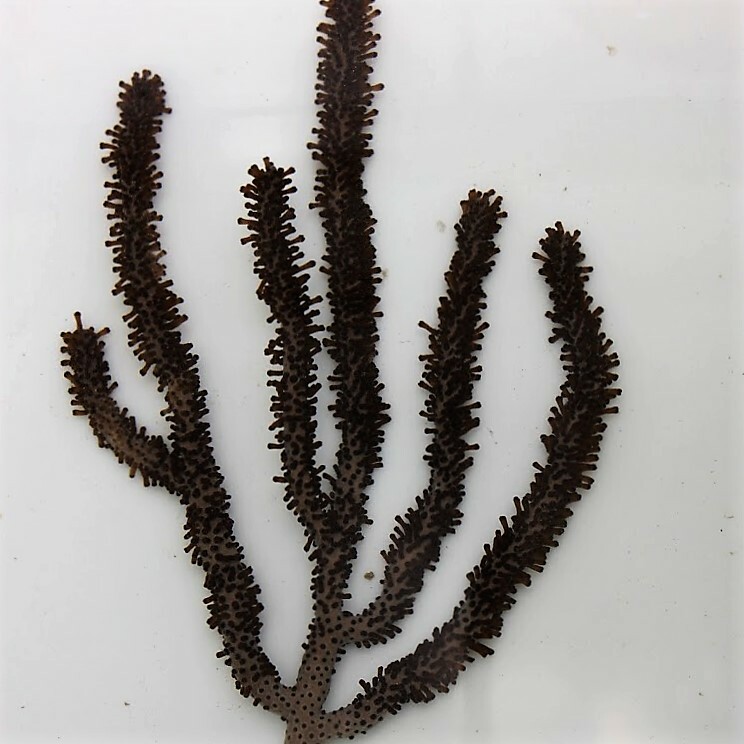 Notes: Corky Sea Fingers are very hardy gorgonian which makes them great beginner corals. Their appear with one or multiple pillars in the wild. You will see them quiet often with one long pillar and a smaller one growing on the side. Corky Sea Finger’s body is light purple with white polyps in the warmer water of the summer time. The rest of the year, Corky Sea Fingers are beige with beige / yellow polyps (We will add a picture of that very soon). Their fuzzy polyps makes them a great addition to every tank. They can overgrow and kill other corals if placed to close. The colony can be attached to any substrate using some sort of quick curing epoxy or gel super glue, and the branches can be pruned and attached to other substrates if it gets too big or if you want to make more colonies. Gorgonians are also called “octocorals” and “soft corals”, and are in fact very closely related to stony corals. Fantastic size great shape upon delivery.. package very well for weather since it's cold here..great communication from seller very pleased...love it.